How Will Be Central Government’s Budget on 1 Feb 2019 ? 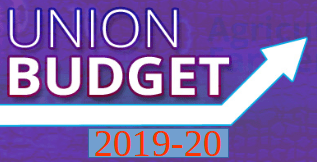 This is an astrological analysis of Indian Budget to be Presented on Feb 1, 2019 at 11 AM in Parliament of India in Delhi . Indian Government’s Budget had been traditionally presented on 28th February every year since British rule period till 2016. Earlier the time was 5 PM to coincide with 12 Noon at British Parliament . But BJP changed it to 11 AM time in 1999 and then BJP again changed the date to first of February . In astrology , place, date and time are extremely important parameters and any deviation in these can bring major changes in the thought process and direction of the event . It is very interesting to note that till year 1998 , when budget was presented at 5 PM every year on 28 February , the ascendant sign used to be at 29 degree in Cancer . So, the ascendant was at border line , which shows weakness in the event and ascendant lord Moon as we know is for emotional issues , waxing and waning and denotes child like features . Due to weak ascendant , the budget exercise was without a direction and depended on Finance Minister’s personal thinking rather than Country’s needs and aspirations. Because of Moon and Cancer sign , it was quite emotionally charged event as if something great would happen on that day , while it was a non-event in practice . It had no clear direction for Indian economy and it was more like a family’s monthly budget without any future vision or ambition . With change of timing , the ascendant shifted to Taurus , owned by Venus . Taurus as we know denotes consumption , food , banking and Venus is also about luxury goods , consumption , spending , consumerism . Therefore , Venus got the control of the budget direction and government budgets started focusing on expenses , loan disbursals , imports / exports , free trade and foreign investments. The ascendant degree shifted from border to 7 degree , making it better and focused. This period led to expansion of market for luxury goods, vehicles , white goods , jewellery , stock markets , food outlets , wine shops , branded clothes , good houses, looking good etc . FMCG , E-commerce online shopping etc got popular in this period . So, the public got used to spending , taking loans , investing in stock market , real estate but the condition of tax payment remained abysmal as Venus is not about paying taxes to government . Another big change of date happened , so ascendant sign again changed and it became Aries . Aries denotes fiery sign , for border or new beginning and it is owned by Mars the planet for forcible extraction of taxes , penalty , fear and physical action . Therefore, the new theme of the budget became the extraction of taxes which so far traders and rich persons were not paying while consuming best goods and services .If Moon was child like and Venus was like a teenager enjoying life at other’s cost , Mars is like the policeman or soldier out to enforce the law . So, the very first budget had the Aadhar Act included in Budget Bill to compulsorily collect the footprints of all investments, government subsidies , tax compliance and major spendings. Next big thing proposed in the budget was online GST system . People first time felt that it would be very difficult to evade taxes . Now on , every budget will focus more on tax compliance , leakage of revenue and subsidy and people will be forced to pay actual taxes within a decade as Mars is now ascendant lord . If we see the above chart , we see that ascendant lord Mars was placed in 12th house of investment , along with Moon and Jupiter aspected it from 6th house of taxes . So, this budget brought happiness for investors in stock market . The change of ascendant sign and ascendant lord planet signifies the major direction of the event happening at that time . So, Aries will remain the ascendant till date or time is changed again . And that means days of strict , online surveillance of taxes is to remain the main theme of all new budgets . However , the yearly focus area will change as per the placement of Moon and Mars in this chart . Last year , both were in 12th House of investment . Here , we can see that Mars is in 8th House of secrecy , mystery and surprises . Then Rahu is with Moon and aspects Mars also . Rahu means technology and that effectively means that government is coming up with something linked with technology to eradicate the menace of tax evasion and subsidy misuse . In this chart , Sun is with Ketu in Capricorn sign with Venus in close degrees in 10th house of prominence. These are inimical combinations for rich and people who are great spenders ( Venus ) . This time , 12th house of investment is owned by Jupiter and that is in 7th house of opposition . Therefore , this budget increased tax revenue ( Mars , Jupiter , Saturn aspecting 11H of income ) by increasing taxes on rich by introducing Long term capital gains on equity investment . Because of Sun, Ketu and Venus closeness , government had to face judicial scrutiny of Aadhar Act as money bill though judiciary allowed it partially . Overall , this budget was a dampener for market and people’s expectations as indicated by Moon with Rahu in 4H . As we can see , though ascendant remains fixed because date , month and time is not changing but ascendant lord Mars is changing position this time to 12H of expenses . It is now aspected by Jupiter from 8H surprises and hidden agenda . Moon has Saturn on one side and Venus on other side. Saturn being masses , this time it has to be people friendly or popular budget , so people can expect personal income tax relief . 6H lord of loans is Mercury in 10H with Sun and Ketu , so loan waivers / pension to farmers and poor ( Ketu ) will be publicized but Ketu association with mercury means it will not be executed in this financial year . Overall , it will have heavy expenditure as ascendant lord Mars is in 12H of expenses so it may breach budget deficit limit . How does the birth of a baby affect your destiny ? Rio on Is Narendra Modi Incarnation of AMU Founder Sir Syed Ahmed Khan ? Amit Yadav on Do General Elections (Lok Sabha) Dates Favour BJP Win in 2019 ? Y C Shukla on Do General Elections (Lok Sabha) Dates Favour BJP Win in 2019 ? Y C Shukla on Will BJP Win 2019 Loksabha Elections ?